Charter Management Programme with good maintenance is essential! 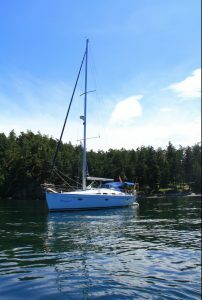 Nanaimo Yacht Charters has been in operation for over 25 years. The current owners, Ian MacPherson, Shari MacPherson and Lorraine Bell purchased the company in 2007. Over the years, thousands of charterers from across the globe have looked to the company to charter for their annual boating vacation from Nanaimo, British Columbia. Please do not hesitate to contact us if you would like to speak with our current owners of our charter fleet. In 2010, the company owners purchased Stones Boatyard located at our base in Stones Marina, Nanaimo, making it possible for each boat to be lifted after every charter for inspection. The additional advantages of owning a boatyard right at the marina for a busy charter fleet speak for themselves. Chartering is like any other business: if done well, by professionals, it will be successful. We invite you to undertake a full review with us as a prospective charter boat owner. Our boat owners receive 60% of the net charter revenue from their boat. If you or a company that owns the vessel is GST registered, tax savings from chartering can be made. This needs to be discussed on an individual basis with your accountant. We keep it simple, straightforward and you are regularly updated as to the charter bookings on your boat. There is no limitation to your use of your boat whilst in charter, we do however require a minimum of 10 weeks available for us to charter in the season (June – September) You can reserve any block of time for your own use in advance. You do not have to put time aside for maintenance and yacht preparation, as we take care of everything on your behalf. At the end of your trip, just walk away and leave us to prepare the yacht for your next use or the next charter. There is a minimal charge to prepare your boat for your personal use. When a charter guest contacts us to book a boating holiday, we establish how much experience they have, and which boat is best suited to them. We then discuss where they want to cruise. 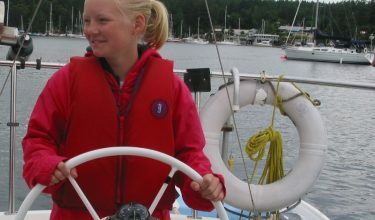 For example, if a charter guest is looking for a two-week vacation we recommend they sail the Sunshine Coast and Desolation Sound cruising area. If they only have a week, we encourage them to stick to the Southern Gulf Islands. When completed, this form gives us an indication of a potential charterer’s comfort level of navigating and sailing our tidal waters. Together with an extensive checkout procedure, and a personalized onboard operations manual made up by Ian, ensures that our guests are fully proficient to navigate your boat. During this time we review the charterer’s proposed itinerary, provide suggestions on the best anchorages and other pertinent information on the area, and note navigation precautions. All navigational aids (paper charts, cruising guides, tide books etc.) are issued to ensure that the skipper is fully equipped for boating and navigating our tidal waters. This is followed by a complete walk-through of the boat, pointing out all the information relevant to the boat and the charter. We believe this to be a vital part of the briefing as it gives us the opportunity to ensure that the charterer is completely familiar with operating all systems on board and well briefed to look after your boat whilst aboard. A comprehensive operating manual is developed for every vessel. This is a written version of the verbal boat and area briefings, complete with photos and diagrams. It serves as a reference and recap for charterers and is kept onboard at all times. (As part of our yacht partnership, we ask that you as the boat owner assist us in compiling this manual, including a quick reference guide on the location of the boat’s equipment). 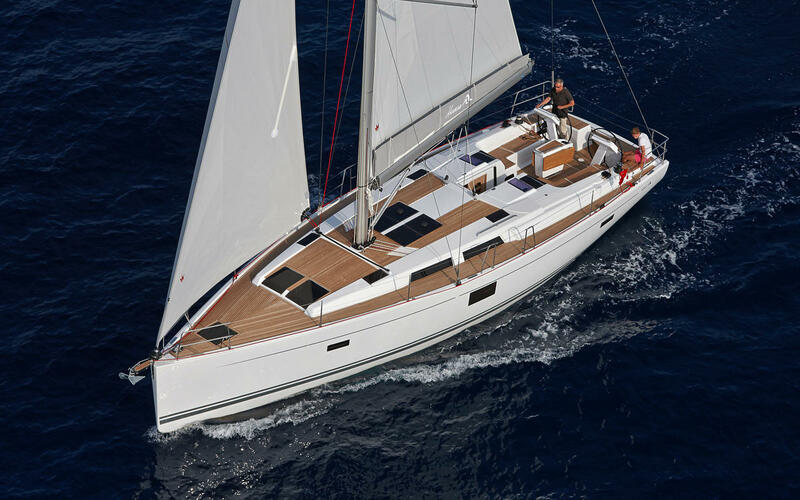 Furthermore, if there is any doubt as to the ability of a charter guest to handle your vessel, he/she is asked to take the vessel for a test sail. In some instances, our skipper remains on board until they are comfortable that the charter skipper is 100% competent prior to their departure. After this process, our base manager releases the boat and its crew, or if the charter guests require more training, places a professional skipper onboard. Our base manager has the right to insist that the charter does not proceed if he feels that the charter skipper does not meet our proficiency standard. Upon the boat’s return, the charter base manager debriefs the charterers and reviews any issues that were encountered on the boat, as well as assessing the boat for any damage and/or problems. We ensure the checkout process is thorough and consistent using a detailed checklist, which both the charter base manager and charter guests sign before and after the trip acknowledging the checkout and the responsibility for the vessel. Finally, the yacht is lifted for a quick but careful inspection after every charter or owner use. In our years of experience, we find the disciplined use of these procedures assures that our fleet and your boat is properly cared for and maintained to the highest standard and that charter guests have the information they need to make their charter vacation fun and hassle-free. Our charter guests live aboard 24 hours a day and we, therefore, ask them to record any issues found whilst on charter on an “On Charter Fault” sheet. This forms part of the history of the boat and an integral part of the preparation for the next charter. The boat then undergoes a thorough preparation and check prior to the next charter start date. Your boat will stay in better condition than if it is just sitting at the dock because our Charter Management Programme is geared to keep all boats in pristine condition. Before every charter, our staff detail your yacht in preparation for the next charter or your personal use. In addition, beds are made up and fresh starter packs (ready-use items to welcome charter guests onboard) are added. Powerboats in our fleet have a pretty consistent pattern of use by their charterers. A charter week’s (seven days) usage ranges from a low of 15-17 hours to a high of 36 hours. Although we have no absolute limit, we make it clear that “running hard” is not in the best interests of the boat, or for that matter, a good vacation for the charter guests. On our sailing boats, we expect a usage of approximately 250 engine hours per season. For less well-known models, traditional layouts are most attractive. Vessel layout is most important, speed is less important. Any boat should be able to accommodate charter guests comfortably. Two- and three-stateroom boats with more than one head are currently the most popular. All systems must work well. Primarily, the main engine(s), outboard, generator, refrigeration, electric windlass and sails. Any of these working inefficiently will damper the enjoyment of the charter guest from the outset. A well-maintained boat is essential. Quality maintenance, including immaculate, shiny, odour-free interiors (even the bilges) and exteriors, is what makes the difference to our customers. A safe boat is a must. All safety equipment should be available, current and convenient. All fittings must be secure. A good, customised boat manual, with warning notices where necessary, should be available and in good order to help our charter guests operate your boat properly. We do everything possible to ensure that our charter guests have a memorable and safe holiday onboard your boat. We are a service-orientated company with a long history of customer satisfaction, located at the head of the best cruising ground in the Pacific Northwest and in one of the fastest growing areas of Canada – a guaranteed combination for success.